Paul and I had a day of exploring and part of this took us up to Sacramento. We checked out things at Mather to see what was going on. 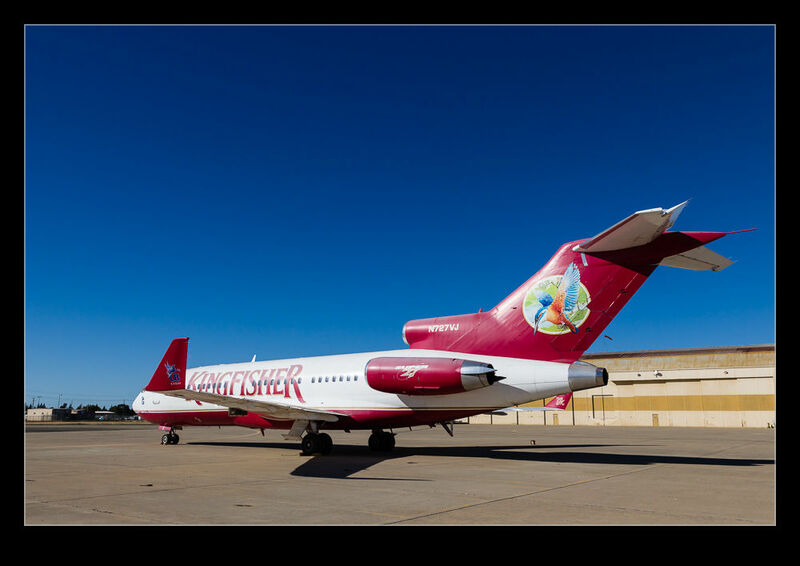 Often the interesting things are not what is flying but what is parked up and this proved to be the case with a Boeing 727. It was parked alone at one end of the field. The area it was parked in was kind of interesting as we stopped the car on what had clearly once been a hangar which was now demolished. We were trying to work out how big the hangar was and what the USAF might have kept in it when Mather was an active base. However, the 727 was our primary focus. 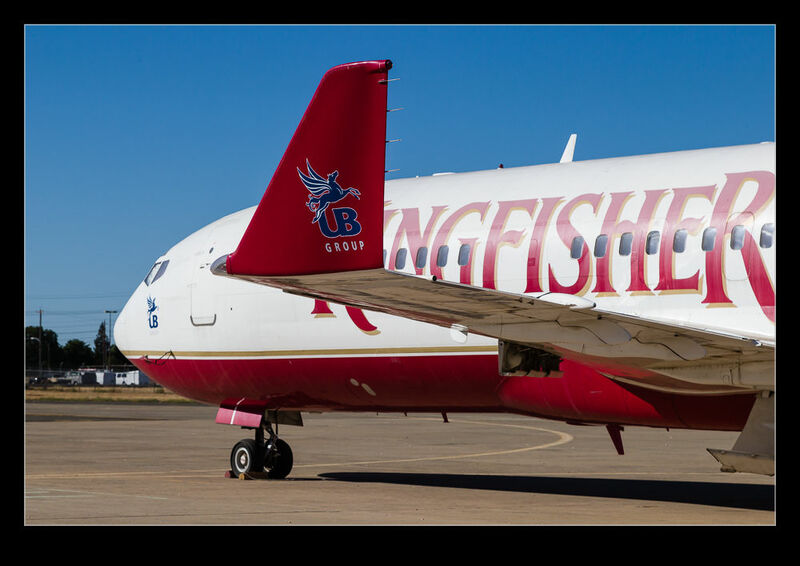 It was in Kingfisher colors and carried the registration N727VJ. 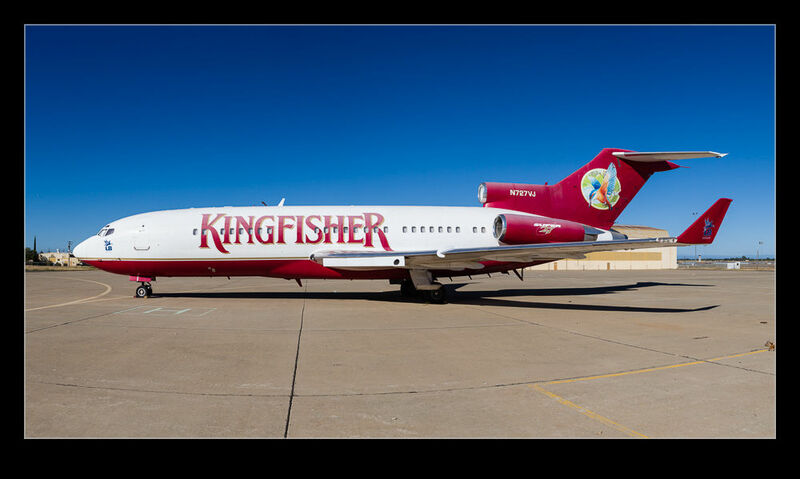 The boss of Kingfisher is Vijay Mallya so this was obviously once his personal jet. It has winglets fitted but the paint looked a bit faded so it might have been out of use for some time. I suspect he has something a bit newer these days. This entry was posted in aircraft, civil, photo and tagged 727, aircraft, airliner, airplane, airport, Boeing, california, civil, jet, kingfisher, mather, sacramento, vijay mallya. Bookmark the permalink. Great post and photographs. I grew up in Sacramento near KMHR and kept tabs on N727VJ’s situation. I wanted to make a detailed documentary video on this amazing aircraft but unfortunately the idea never came to fruition. Sadly this aircraft was a casualty of the downfall of Mr. Mallya’s empire and it remained at Mather for over two years. However on September 4th, 2014 it flew to KIGM on a ferry flight permit (Perhaps a sign of what future, or lack there of, is in store for this great aircraft). If you hear anything new on this aircraft I would love to know. This aircraft captured my heart like no other. Here is a link to a video I made on N727VJ. Thanks for sharing the video Andrew and for the updated information. I will see if anyone finds out more about her.